I am in the car a lot as part of my job, and have been for years. As a project manager for a contracting firm, I am also very reliant on my iPhone to keep in touch with customers, fellow employees, and sub-contractors who are working for me. Even when I am in the car, my phone is still my lifeline to keep my projects moving forward. 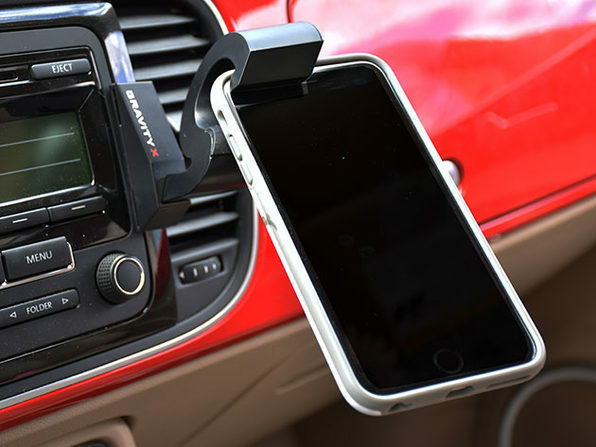 Because of this, I have tried MANY different kinds of smartphone car mounts, none of which I have found to be particularly foolproof or durable. I’ve used the dashboard suction cups mounts, vent mounts, cup holder mounts, and most recently, a rear view mirror mount. I’m usually lucky to get six months out of them, no matter how much I spend or how careful I am with them. Because of my long and checkered history with car mounts, I am always on the lookout for something better. That is why I immediately noticed the Gravity X Car Mount, which was a fully funded product both on Kickstarter and Indiegogo. What is so interesting about the Gravity X is that it has no moving parts to break down over time in the temperature extremes found in the inside of a vehicle, meaning that it should be more reliable than the average mount. It also holds a wider variety of devices, rather than just smartphones of a certain size. This combo of simplicity and versatility makes the Gravity X an attractive accessory. 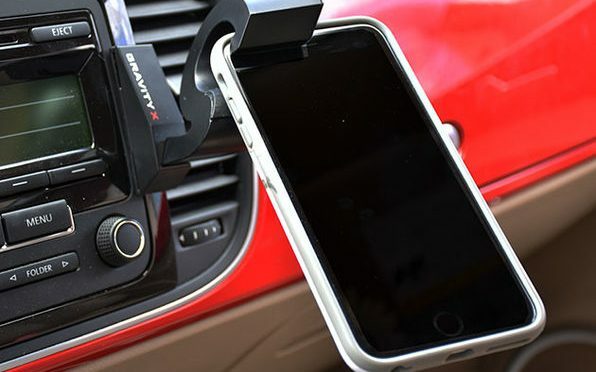 Our Deals site is offering the Gravity X Car Mount for only $19.99.